As a graphic designer, illustrator and art director, Maria Teresa Rivera de Hindes (better known as Tatiana or Taty for short) has worked in the United States, Latin America and, since 2003, in Australia. Taty has designed for Hallmark, Disney, the Discovery Channel, Subway, Unilever, Hilasal and Nestlé among others. Taty is a proud Fulbright Scholar and holds a Master of Fine Arts degree in Design from the Massachusetts College of Arts and Design in Boston, USA. Taty also has a Bachelor of Graphic Design degree from the University Dr. Jose Matias Delgado in El Salvador, and was the first designer in Latin America with formal qualifications in digital technology for creative industries. In 2016, Taty obtained a Certificate IV in Business in Social Media Mastery, enabling her to help clients fully integrate their online marketing, branding and social media strategies. Continuing to update her digital marketing skills, Taty was named “Student of the Year, 2017” by the Social Media Mastery organisation. Taty’s professional journey began in the design and marketing department of a large newspaper corporation in El Salvador, “La Prensa Gráfica” while studying art and design at university. Taty Rivera de Hindes, 1986. "La Prensa Grafica". 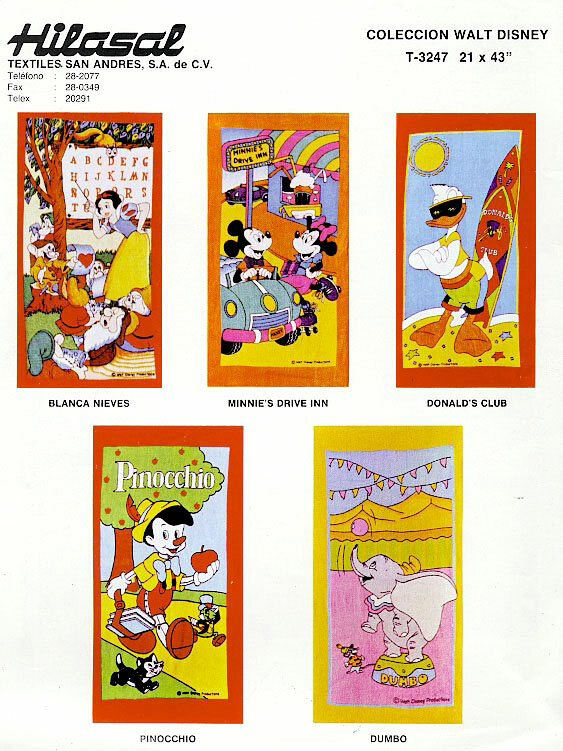 In 1987, moving from print media to textile design, Taty became one of the youngest creatives to work for Disney Latin America. 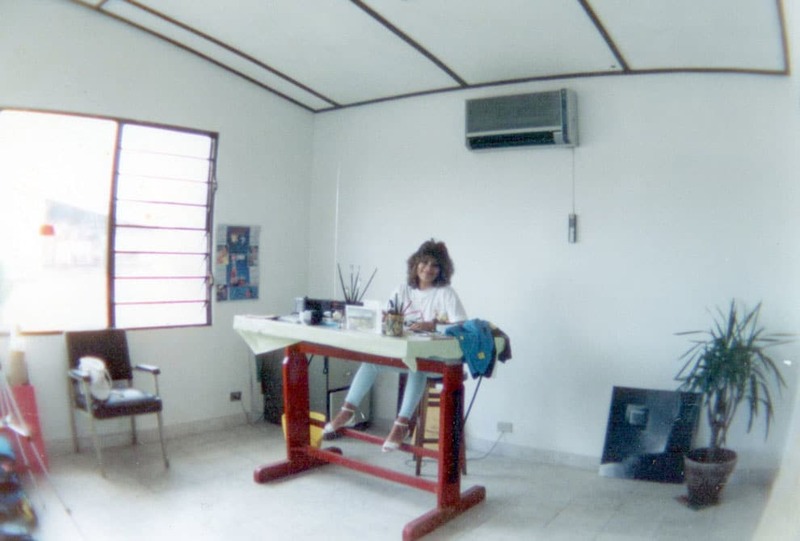 In 1989, she left El Salvador to pursue her master’s degree in design, thanks to a Fulbright Scholarship awarded by Harvard University – Laspau. Returning home in 1992, Taty was the first to bring a formal qualification in digital art to Latin America. 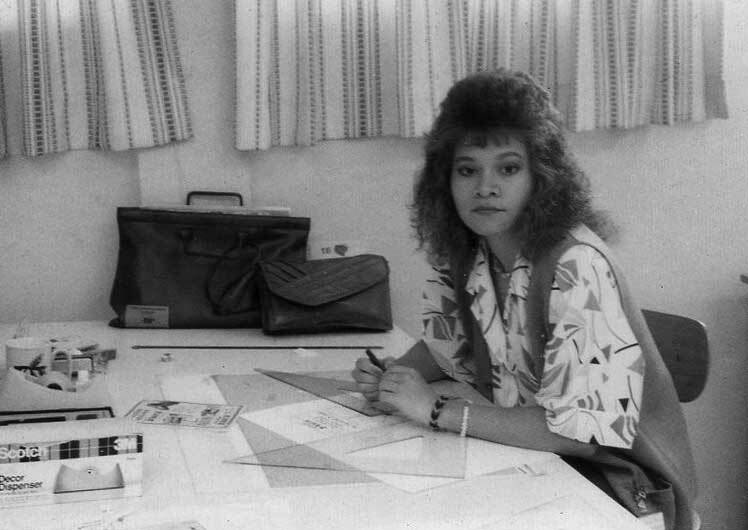 Using her unique position, she helped set up digital art departments in both the private and government sectors in El Salvador, including training people in the use of desktop computers and specialist design software. 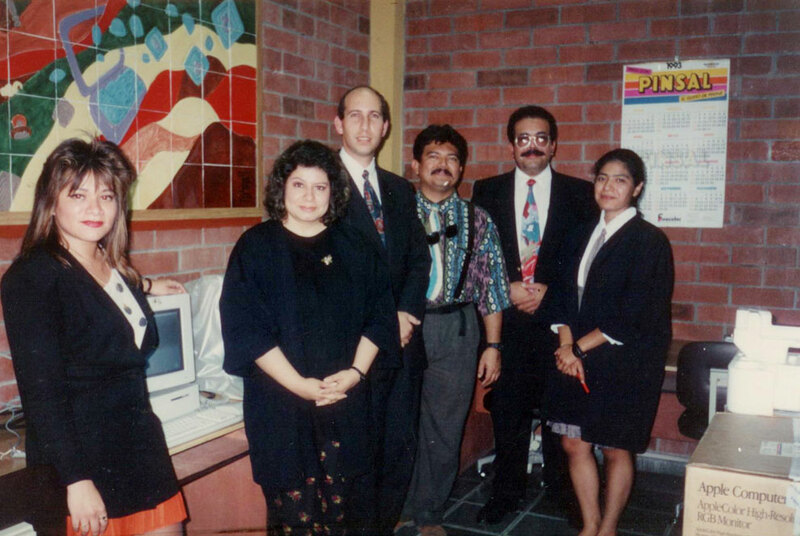 First digital arts department at University Dr Jose Matias Delgado. 1993. First Digital Arts department for El Salvador Government. 1994. Throughout her career, Taty has taught and lectured on design at universities in America and Australia. What’s more, her many speaking engagements have included Apple events in America, thanks to her enduring passion for design software (during her time in Boston, she fell in love with the Mac computer and the whole ‘desktop publishing’ world). 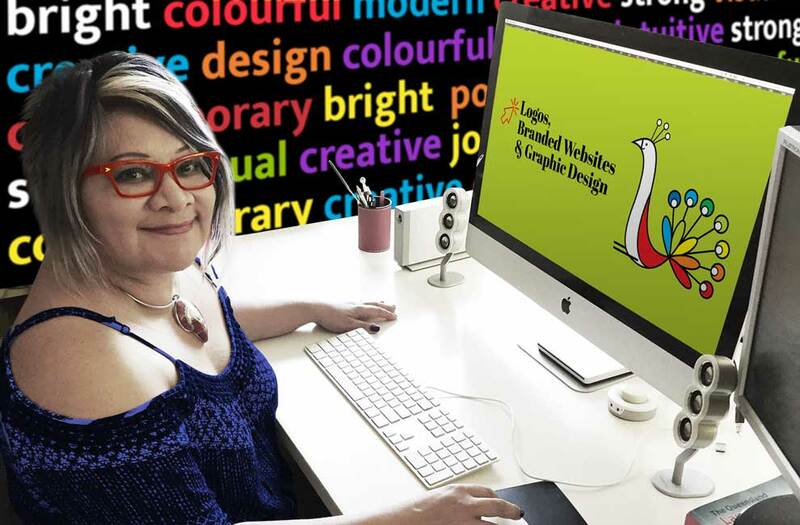 These days, Taty is the creative talent behind the unique award-winning design practice, Soul Space, based in Sunrise Beach, Noosa, on the Sunshine Coast, Queensland, Australia. You can read more about Soul Space Design here. When not driving creative projects for Soul Space clients or honing her online marketing skills, you can probably find Taty on the beaches of Noosa, reading an ebook, watching movies on Netflix, or keeping up with life on social media. Some Soul Space Design projects require the talent of more professionals around Australia and internationally. We have a strong team of associates and contractors, offering a complete service to suit your needs, from concept to completion! A lover of language and words, Dave has been known to obsess (in a good way) over finding exactly the right turn of phrase.Born in the middle of England (Tolkien country), Dave narrowly escaped becoming a lawyer, and instead spent almost two decades in a variety of government roles (including an 11-year stint in London and a short but fascinating spell helping Latvia and Estonia with their EU membership) all of which honed his communication skills to a fine edge.Breaking free of ‘civil servitude’, Dave has spent the last several years crafting sharp website content to appeal to both search engine algorithms and real human beings, writing articles for business magazines, and editing, ghostwriting and proofreading manuscripts for authors.Thanks to the wonders of email and internet, Dave is able to live in Barcelona while working with talented people from all over the globe, including Australia, Chile, China, the Czech Republic, Greece, Iceland, Ireland, Israel, Italy, the Netherlands, Poland, Russia, Singapore, Spain, the UK, and the US.When not sculpting words to clients’ requirements, Dave tinkers with story ideas (he’s had one published and hopes it’s not the last!) reviews CDs for Jazz Journal magazine, and walks his crazy Dalmatian Loti four times a day. Read more about Dave and his life in Barcelona as a content writer. Des is a proven expert in applying the most advanced search engine optimisation and online marketing techniques and strategies across various types of online businesses.In keeping with the ever-changing and dynamic nature of the internet, his enthusiasm and commitment to success is infectious and he continues to grow and adapt his digital marketing business so he can provide his customers and students with professional, consistent and proven SEO strategies.With a history of creating and building successful businesses, he has a passion for learning, innovation and business strategy. He is committed to applying the unique skillset that he has acquired over the last 20 years to help like-minded businesses increase their online exposure, grow their customer base and boost their revenues. Based on the Sunshine Coast, find out more about Des and his approach to online marketing and SEO. Neil looks after our web hosting environment to ensure customers’ websites are accessible at all times. Neil has over 17 years’ experience in the digital media industry and has industry-recognised qualifications. Part of Neil’s skillset includes Level AAA Accessibility training so that customers who require such standards in their websites can get it from us without any fuss. Neil doesn’t just build websites for customers, he also has a number of his own websites which he utilises to expand his skillset and knowledge in the ever-changing digital media industry. Located on the Sunshine Coast, Neil runs a team of experts both in Australia and overseas. You can find out more about Neil’s digital enterprises and the level of services he can offer to creative businesses like Soul Space Design. Visit Suncoast Hosting. Claudia has a degree in architecture and more than 17 years’ experience in editorial design, in the area of book publishing. Her main areas of interests are: art, history, general culture, science and fiction. Claudia’s work has been recognised across the Americas, one of her books (which was designed by Taty) being awarded “Best Book Design” by the Printer’s Association of Florida, USA. With the publishing revolution for electronic media (ePub) and with her many years of experience as an editorial design specialist, Claudia is now in charge of the American market, both English and Spanish speakers, for the design and production of books. 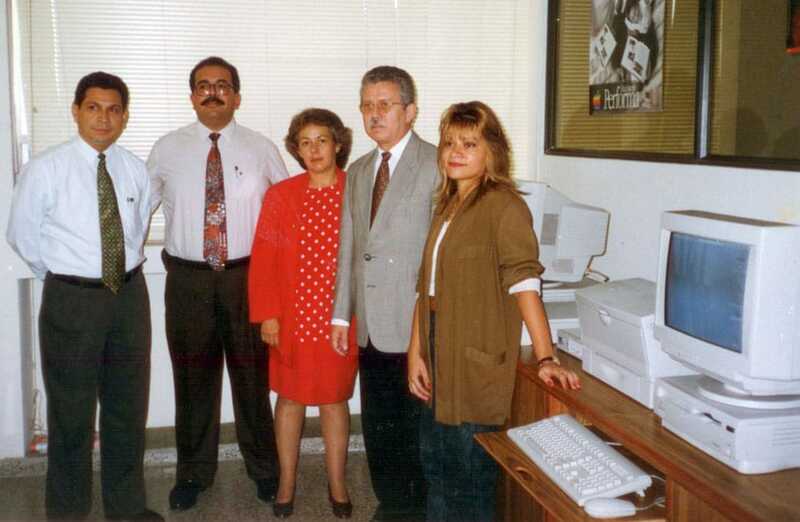 Claudia and Taty have been business associates for over 20 years, and friends for more than 30 years. In her spare time, Claudia loves reading, aromatherapy and is an avid art collector.